These many virtues make him an extraordinary human being, who also has a colorful soul and a great sense of humor. Donozo is a very unique creature, a real pearl in the ocean of Buenos Aires citizens. How can you define yourself? I find it very hard to define myself, because many of the things I do are difficult to define accurately. I work with things regarding music, except I don’t play. I work as a journalist, I edit, and I do musicology research. Sometimes I also produce and organize events. I deal with intellectual tasks. Which is your current activity? Well, there are many. I run a small company that publishes books about music, which is called Gourmet Musical Ediciones. Also, I’m the host of a radio program specializing in music books of all genres. In addition, I teach a seminar at IUNA (National University Arts Institute) in the career of Art Criticism. It’s a Seminar about History of Music Magazines, one of my research topics. I wrote a book regarding that topic. Also, I have an archive that specializes in Argentine music magazines which, as well as being a personal file, it is open for consultation by students and researchers. I occasionally write articles for magazines and I present papers at congresses. Please tell me about the books you wrote. I wrote the first one in 2006: Bibliographical Dictionary of Argentine Music (and music in Argentina), it has references to articles on music and musicians from Argentina, which is organized as a dictionary. I’ve worked on that book for ten years and then it became the first book of my Publisher. In 2009 I wrote the Guide of Music Magazines in Argentina (1829-2007). It is a catalogue of 450 music magazines, it includes the information of the library or archive you can find each number. Of course I still find music magazines I didn’t know, all the time. When and how did you start your career? I started playing the guitar as a teenager; I played rock, blues, and jazz. When I finished school, I started working as a music journalist and I studied Arts, with Music Orientation at University of Buenos Aires. I began doing research on popular music. I made the dictionary out of my own need to have that kind of practical tool. I met a lot of people who were working with topics with no information, and I also needed to publish my own books somewhere. So I decided to make a Book Publisher. At the time, there was no music publisher, so I had to invent the editorial that I needed. In the meantime, I built a website combining an extensive and detailed database on Latin American music, (specially in it’s bibliography and discography) with sales and distribution of independently produced CDS and books of all kinds and styles of music produced in the region. Why the name Gourmet Music Editions? The idea of gourmet implies the concept of selection, an active and curious consumer. The music that interests me is not massive. It connotes care and passion. 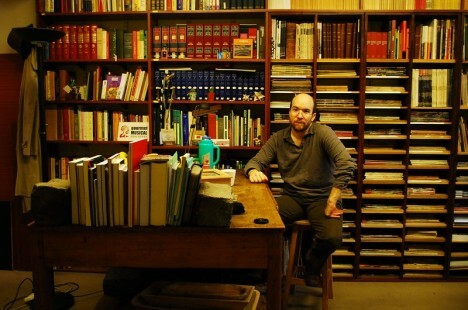 The first published book was the Bibliographical Dictionary, and the second one came out of a contest of interdisciplinary research articles, with an international jury, which we organized as some kind of resistance or moral self preservation project during Argentina’s worst economic and political crisis in years. One of the winning articles became a book: Xul Solar, visual musician. Music in his life and work, by Cintia Cristiá. How did the following books come to you? I proposed most of them. They are argentine authors that have been researching different topics throughout the years, which have been published as articles or papers. And I proposed them to make books. It’s not the same reuniting many articles together as writing a book. What are the best things that happen to you thanks to your career? Many of these projects are interesting because their goal is to create connections that to me were natural, but didn’t exist before. For example, the website connected musicians, independent production companies, research institutions, universities, libraries, different audiences, and so on. Which are your favorite places in Buenos Aires? In the late eighties I discovered the city, the night, the open libraries of Corrientes Avenue. Nowadays one of the places I go very often is Café Vinilo, a very cozy place in Palermo with friendly people and interesting music. There are also many close door concerts in BA, in places like Despacio Martínez, El Pacha. Independent artistic activity is, in a way, the soul of Buenos Aires. There is an interesting circuit in the city where you can listen to music: Club Cultural Matienzo, La Oreja Negra, Club Atlético Fernández Fierro, El Chaperío, Niceto Club. And I can also recommend some places to eat, like an Indian restaurant in Martínez, it´s called Lo de Ali, there´s another Indian restaurant in San Telmo: Mash. Of course I have to recommend Buenos Aires pizza places, the best for me is Guerrín, at Corrientes Avenue. There are also several nice and cheap Peruvian restaurants: Primavera Trujillana and Contigo Perú. I’d like to publish more books, also digitalize the magazine catalogue, and create a second edition of the magazine guide. I’d like my work to be more collaborative. Right now I’m the host of a music show on radio, it’s a show about music books. I’d like to make another show where I can play the music I like. And I’d love to have a TV show, where I combine current music activity with intellectual and academic fields. I’d like to have a live debate, as if it was a football debate.